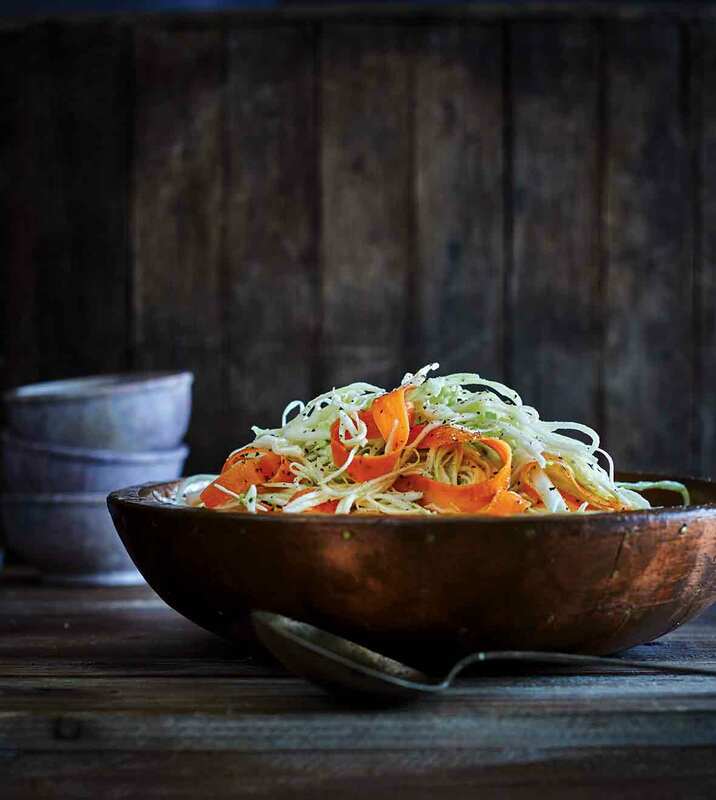 This South Carolina slaw is made with cabbage and carrots and a sweetly tangy dressing based on apple cider vinegar and mustard is a summer must. No mayo required, so it’s safe for those with egg allergies. 1. Place the cabbage and carrots in a large bowl. Instead of creating those gorgeous carrot ribbons simply julienne or shred the carrots and toss them with the cabbage. This South Carolina slaw was the perfect companion to my pulled pork made with Vinegar Barbecue Sauce. As opposed to traditional mayo-based slaws that often fall short on flavor pop, this slaw is fresh, crunchy, and tangy. I love the way the dressing almost acts like a pickling agent within minutes of dressing the slaw. This may be a personal preference, but I found it even better on the second day once all the dressing was absorbed by the cabbage. My only tip is that I think there is enough dressing to do a full head of cabbage; when I did only half, I felt there was a bit too much dressing pooling at the bottom of the bowl. This South Carolina Slaw was fantastic! We could not stop eating it until it was completely gone. The salad was crunchy and the dressing light and tangy. This will be my go-to salad for potlucks and summer barbecues. I did cool the dressing to room temperature before adding it to the salad. We just kept eating it until it was gone. The slaw was nice and tangy and crisp. The dressing was just enough to coat the slaw so that it was not too soggy. I did let the liquid cool for 10 minutes before tossing everything so as to not wilt the cabbage. The next time I make this I will add another teaspoon sugar. My fiancée is a fanatic when it come to coleslaw so anytime a new recipe comes my way I make sure he tries it first. This was had a lovely tang to it and perfectly accompanied the pulled pork I had made with it. Perfection! The recipe was quick and easy to put together though I would warn people that making long carrot ribbons isn't as easy as it seems. I would try combining green and red cabbage next time. This South Carolina slaw recipe won me over! I had my doubts whether I would like this coleslaw because I'm a diehard mayo-based "cold" coleslaw fan. One bite and all I could think was, "That's lovely!" I liked it served both cold and warm, but I must confess my preference was warm. My recipe came very close to the picture, but my carrot ribbons did not curl at all (it must be in the wrist technique). However, I did have some nice carrot snacks as I attempted to make the curl. I really like this slaw! We have two kinds of slaw in this house: regular, which has a mayonnaise base; and BBQ slaw, which is vinegar based. The mustard in this BBQ slaw is outstanding and really drives home the theme of South Carolina slaw. I love South Carolina mustard BBQ sauce, and this gives the same flavor in slaw form. I did prepare the slaw mix and dressing separately and let it chill in the refrigerator, combining them about an hour before serving. Slaw was crisp and delicious. It was still great the next day—the slaw remained crisp without being watery. Just toss lightly to redistribute the dressing before serving. A very unique flavor to liven up an old favorite! This South Carolina slaw is a nice alternative to a mayonnaise-based slaw. The long strands of carrot make for a very attractive dish. The dressing on its own is delicious and I'm hoping to find other uses for it. My carrots really looked beautiful. Generally I'm not a fan of heavily-mayonnaised coleslaw, so this recipe fit the bill. It was a bit sour for my taste, so next time I'll bump the apple cider vinegar down to 1/3 cup. To make the recipe even easier I'll just grate the carrots in the future. At first I debated scaling down the mustard as it seemed like a lot, but in the end I used the written amount and I'm glad I did. I followed the recipe exactly, which involved pouring the piping hot dressing over the cabbage. This way the cabbage wilted a bit, and I actually prefered the taste compared to completely raw cabbage. I will be making it again as an accompaniment to summer barbecues. This was a huge hit at our friend's bbq last night, where (as it turns out) everyone hates mayo-based coleslaw. The mustard to vinegar balance was great. The most time-consuming part of this was attempting to get the carrot to look right. I spent like 25 minutes making log strips of carrot with my potato peeler. I should have just used the pyramid shaped cheese grater and called it a day. I made the dressing, chilled it, and then we added the dressing when all the BBQ meats were ready—so it was fresh. No idea how it would have kept, because it was all ravenously devoured. 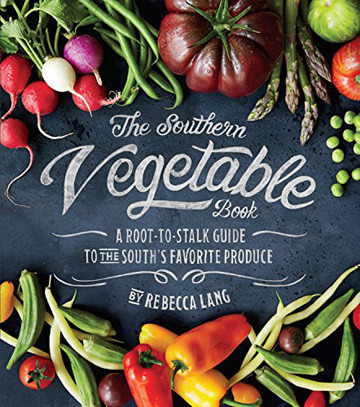 South Carolina Slaw Recipe © 2016 Oxmoor House. Photo © 2016 Hélène Dujardin. All rights reserved. All recipes and photos used with permission of the publisher.